“The Lion King so full of pride, we shall stand by your side and give Lion aid”. African lions are increasingly threatened and endangered with over 90% decline in the past 50 years and continuing. We have to save these magnificent creatures from extinction. The Asiatic Lion is a subspecies of the lion which survives today only in the Gir Forest National park in western India. They ranged once from the Mediterranean to India, covering most of Southwest Asia and hence it is also known as the Persian lion. Compared to their well known African cousins, Asiatic lions have thicker, shaggier coats, and longer tassels on their tails and elbows. Asiatic lions are very social animals living in prides that are much smaller than that of the African lions, with only two females and four to six males. In 1961, a limited number of organizations around the world such as the International Union for the Conservation of Nature and Natural Resources (IUCN) and The Conservation Foundation were trying to meet conservation needs, but were desperately short of funds.The first call for broad support was the Morges Manifesto, signed in 1961 by 16 of the worlds leading conservationists, including biologist and African wildlife enthusiast Sir Julian Huxley, IUCN vice president Sir Peter Scott and director-general of the British Nature Conservancy E. M. Nicholson. The Morges Manifesto stated that while the expertise to protect the world environment existed, the financial support to achieve this protection did not. The decision was made to establish World Wildlife Fund as an international fundraising organization to work in collaboration with existing conservation groups and bring substantial financial support to the conservation movement on a worldwide scale. 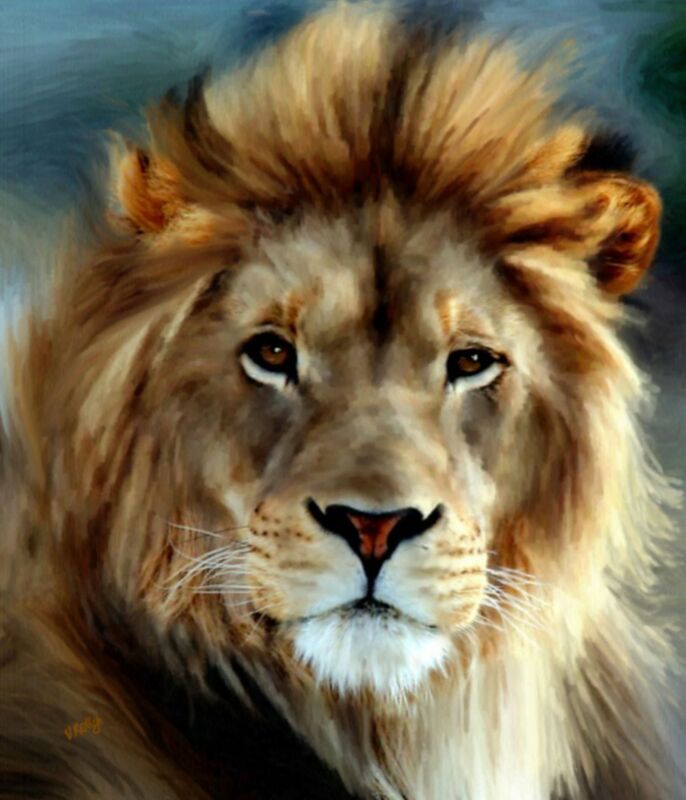 This entry was posted in Animal Art, Art, canvas prints, canvas prints, Galleries, iPhone cases, painting, shaumbra, shop, Shops - (Stores), Stores and tagged Art, charity, Digital art, lion, Nature, painting, Valerie Anne Kelly, valzart, Visual Arts, wildlife by valzart. Bookmark the permalink. Thanks for liking my post on art and dollars – your art certainly has the heart I talked about! Beautiful painting, inspirational.